Jim and Greg check into the “Psychedelic Shack.” Tune in to hear their dissection of Psychedelic Soul, from Sly and the Family Stone to Gnarls Barkley. Often when Jim and Greg discuss RIAA lawsuits in the news, the stories seem to paint a dreary picture for the average music fan. But this week things are looking up for the little guy. Last year Jammie Thomas was convicted of music piracy in the country's first file-sharing trial. But, now the judge is asking for a new trial. U.S. District Judge Michael J. Davis believes he didn‘t instruct the jury properly and didn’t insist that the prosecution prove files were actually downloaded. In addition, he thinks the $220,000 fine is completely excessive. The judge is also urging for better copyright laws, something Jim and Greg have been saying for years. The consumer does not fare as well in the next news story. Both Wal-Mart and Yahoo! Music have announced that customers who purchased music with DRM protection will not be able access their purchases for much longer. In Yahoo's case, it is because their music store, and consequently their DRM server, is shutting down. And, while Wal-Mart was wise to eliminate DRM files, Jim and Greg don't understand why customers who purchased songs prior to this shift should penalized. For every step forward in the digital music industry, there are at least two steps back. Jim and Greg next give their takes on the recent My Bloody Valentine reunion show. The influential U.K. band played Chicago as their first tour in 16 years, and both Jim and Greg were there to witness it, though one has to wonder if they saw the same show. Both critics agree that the band's 1991 album Loveless was a masterpiece, but Jim wished they had played some new material. He also didn't see evidence that the band has kept up with the times, calling their dated loops and samples cheesy. Greg was much more impressed and thinks the members of MBV deserve one free pass in terms of not having new material. He was also blown away by their sound - almost literally. 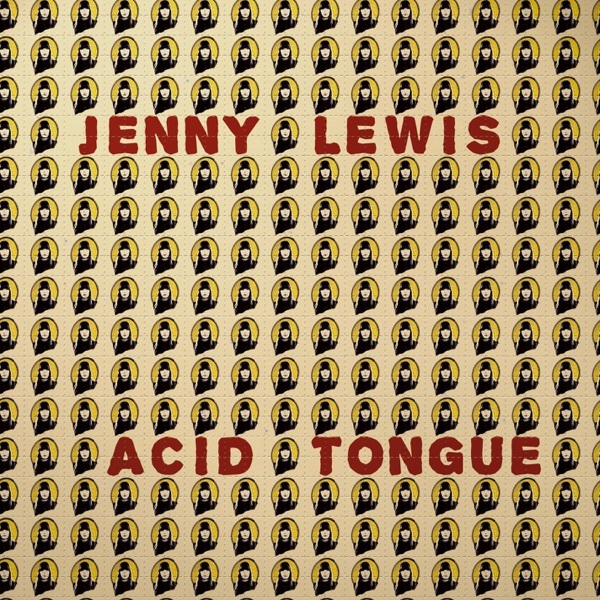 After releasing a successful solo debut, Jenny Lewis is back with a new record called Acid Tongue. While the first album was something of an accident, this one is much more thought out, with a cast of famous helpers including Elvis Costello, Chris Robinson and She & Him. Jim could've done without some of their appearances, but loves this record“to pieces.”He explains that Lewis tries out a variety of styles, but all the songs are linked by an emphasis on strong vocals and natural recording. Greg completely agrees. He is less sour than Jim on Lewis‘ other project, but thinks that on her own she’s made another two much better albums. Acid Tongue gets two Buy Its. Twenty-five years after releasing the original version of Berlin, Lou Reed is back with a live version, as well as a film recording. Back in 1973, the record was almost universally panned, but Jim and Greg both believe that it deserves a second look, and this live album is the perfect way to do it. Greg describes the songs as harrowing, but also beautiful. It's not an easy album to listen to, but Reed brings his old songs new empathy. He gives it a Buy It rating. Jim thinks fans are better off purchasing this album than the first one, especially when you consider that Berlin 1973 wasn't recorded very well. He also gives Berlin: Live at St. Ann's Warehouse a Buy It.